As delightful as it might be to sit around your living room fireplace in Chantilly with your family, it can be just as comfortable to do so outside. 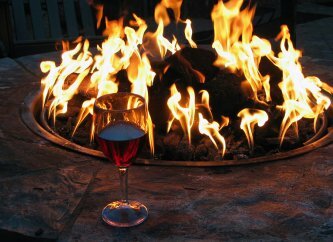 Outdoor fire pits also come with a plethora of additional benefits that make them more than worthwhile. Continue reading to take a look at a few reasons to have an outdoor fire pit. Now that the the snow has melted and the nights are starting to get warmer, spending time outdoors transforms from a novelty into a daily activity. Outdoor living can always be more entertaining and welcoming with an outdoor fire pit in your backyard. Not only can you sit around the fire with your family like you could at your indoor fireplace, you can also invite the neighborhood over because of the extra space you are utilizing in your yard. A nice outdoor fire pit can also provide a wonderful focal point that can enhance the aesthetics of your entire property. Whether you like to host large neighborhood gatherings or simply like to roast marshmallows with your friends on summer weekday nights, an outdoor fire pit is a great choice for your home. A stone fireplace surround can provide your home with an excellent boost in aesthetics. This type of design for a fireplace in Chantilly works particularly well in homes that feature rural themes. Watch this video clip to learn a bit about the installation of a stone fireplace surround. The installation of a stone fireplace surround requires an artistic eye and some skill when it comes to mixing and matching. You will first have to plan out the way you want your fireplace surround to appear and then outline its form. It is important to keep the location and position of the mantle in mind when laying out the stone. After laying down an initial coat of mortar you can briefly sweep it to add some texture and then add pieces of stone, shaping them manually as you go. Consider alternating colors and shapes in order to complete one cohesive fireplace aesthetic. If you like the idea of hosting family gatherings or neighborhood get-togethers at your home, you will need a spacious room with comfortable seating and a focal point such as a fireplace in Chantilly. The more visually pleasant your fireplace design, the more positive its impact will be on the space as a whole. 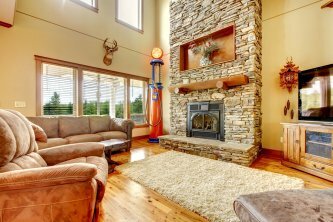 Keep reading if you would like to learn about a few design ideas for your stone fireplace. If you live in a home that has relatively high ceilings compared to most others, you are already familiar with the way in which they can create a luxurious atmosphere. While having a small stone fireplace topped with a modest mantel can work just fine in this case, you may be more inclined to take more full advantage of your vertical space. Consider having a fireplace installed with its hearth and mantel on the ground floor that reaches up through the top floor of your home. The gorgeous stone architecture of this singular pillar that extends vertically through the house will offer an aesthetic consistency from floor to floor. Fireplaces can help to substantially improve the aesthetic appeal and overall atmosphere of a living space. 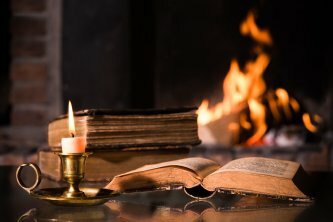 While many gas fireplaces tend to look similar, there are a few methods you can use to make the one in your living room uniquely your own. Whereas the prototypical fireplace has a square hearth under a flat mantel, consider putting your own creative spin on your fireplace by changing the shape of the hearth. You can opt for a rounded or arched hearth in order to set your stone fireplace – and your home – aside from the rest. You can also be creative with your mantel; consider lining up two smaller mantels above your fireplace, with a third section placed slightly elevated in the middle of the other two. Walls that are all painted the same solid color can be great, but they can be improved with the addition of a boldly colored stone fireplace. This structure can help to break up the solid expanse with another complimentary or contrasting color. 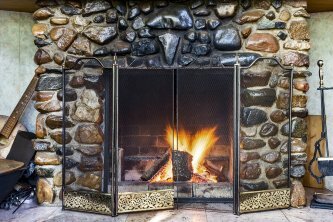 If you recently installed a new fireplace near Chantilly , it’s important to keep up with maintenance so that it looks and performs well for years to come. At Home Living Fireplaces, we have more than 45 years of experience in fireplace installation, maintenance, and service. In this article we will take a look at some of the most important maintenance tips to follow. If you have any questions or would like to schedule an annual inspection, please give us a call for more information. Some gas fireplaces experience debris buildup. Ceramic logs, in particular, have been known to slowly deteriorate, which clogs vents. If the outside chimney is cracked or the mortar joints are falling apart, moisture can enter the chimney, which causes the flue tiles to break and fall into the hearth. To reduce the chances of this happening, have the fireplace thoroughly cleaned once per year—inside and out. Over time, the equipment in a gas fireplace might start to show signs of deterioration. This is why it is important to have the valves and connections inspected regularly for leaks. The thermopile, thermocouple, and logs should be checked to be sure they are in correct placement and in working condition. If you ever turn the switch of your gas fireplace on, and notice that the pilot light is on but that the fireplace doesn’t ignite, turn it off right away. This indicates a malfunction that should be handled by a fireplace service professional. 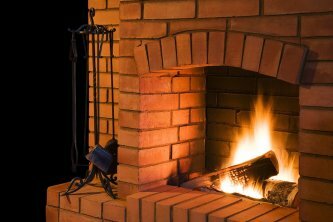 Gas fireplaces burn clean, so they never create any creosote or soot buildup in the chimney. But the ventilation still needs to be inspected annually, because moisture problems can cause a serious safety hazard due to improper ventilation. Only clean your gas fireplace after it has cooled down sufficiently. Wiping down the fireplace glass door with a damp cloth while the unit is hot can crack the glass. Install a carbon monoxide detector next to your fireplace so that you know ahead of time if there is a malfunction that could potentially be life-threatening. A fireplace in Chantilly makes for an excellent addition to any indoor or outdoor living room. 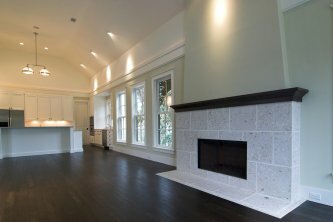 Choosing a stone fireplace can only serve to enhance the hearth’s aesthetic contribution to the space. Read on as we put a spotlight on stone fireplaces. If you have you can envision your perfect stone fireplace complete with mantel and doors, Home Living Fireplaces can make it a reality. Stone fireplace installations allow for total customization, so your hearth can fit into your preexisting design or it can help to shape the theme of the room from the start. The same qualities apply to stone stoves as well. Each piece is designed specifically for your space with textures, colors, and sizes being taken into consideration. You can also have parts of your fireplace, like your mantel, revitalized with stone; on the other hand, you may desire wall treatments or fireplace surrounds. The array of styles of stone that is available will allow you to achieve the perfect stone fireplace for your home, infusing elements of nature into a modern space or accenting wooden structures or furniture to create a cozy and homely environment.